Standing out in a sea of white is no easy feat when you’re a white product like toilet paper. But that does not mean one should stop trying, as Canada’s leading paper products group Cascades Inc. discovered with last year’s highly successful and high-impact launch of the Cascades Fluff & Tuff brand of super-soft and super-strong bathroom tissues. Capping off more than a year of intense in-house product development and expert packaging design work carried out by the Montreal-based branding specialist Bo Branding & Design, the new toilet paper brand has not only been flying off the retail shelves across Canada, but also garnering serious international accolades for its bold innovation and stunning shelf impact. 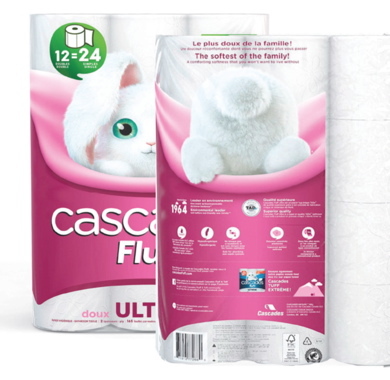 In late November last year, the new Cascades brand picked up the Tissue – Innovation Award at the annual Pulp & Paper International Awards gala in Brussels, Belgium, gathering special praise for the product’s market presence and customer satisfaction. “We launched a line of toilet paper and paper towels that is among the softest and strongest on the market, while maintaining all of the green properties our products are known for,” says Jean Jobin, president and chief operating officer of Cascades Tissue Group in Kingsey Falls, Que. “Our objective was simple: to offer consumers the comfort and performance they’re looking for in a product, while also protecting the environment,” says Jobin, reiterating the company’s long-standing firm commitment to make all of its paper products from recycled paper fibers. Only launched nationally last March, the new brand has enjoyed not only robust sales growth, according to Cascades, but also remarkable brand recognition and loyalty from Canadian consumers won over by the brand’s cheerful and wholesome marketing pitch and message. “We wanted our new and improved products to become the brand of choice for more and more families across the country,” says Jobin, “and we are achieving this goal. 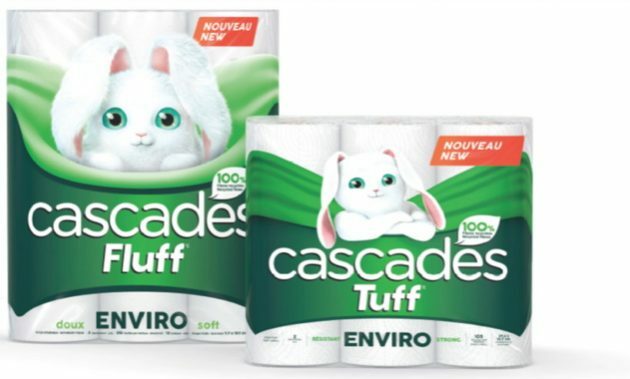 It’s a challenge that also brought out the best in the Bo Branding creative team, which helped Cascades develop the new brand’s adorable Fluff & Tuff bunny mascots strongly featured on new packaging that is worlds away removed from the fairly generic and rudimentary package graphics previously used for the branded Cascades tissue products. 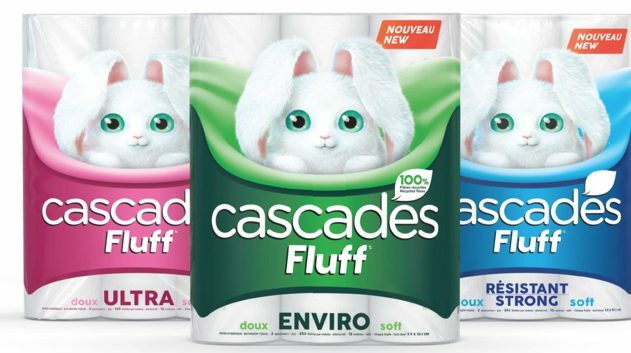 “The new Cascades Fluff and Tuff packaging evokes softness and strength through the use of mnemonic bunny mascots that mesmerize and attract consumers to their glare,” says Mylène Boucher, director of marketing and innovation at Cascades ULC in Candiac, Que. “The accompanying colored backgrounds provide the ideal environment for each bunny to stand out,” Boucher adds, “while providing consumers with an easy identifiable product segmentation system. As Boucher relates, “We wanted to develop a new connection with our consumers and win their hearts with the two bunnies: the cute and puffy Fluff and strong and confident Tuff. “They both generate passion in different ways,” says Boucher, citing the design’s effective use of soothing, comforting blue, green and pink colors to differentiate between the different subbrands, such as Ultra (soft), Strong, Enviro and Absorbent. “The organic curves in the graphics, combined with the vibrant colors, really help to convey the product benefits,” she notes, while providing consumers with an easy identifiable product segmentation system. 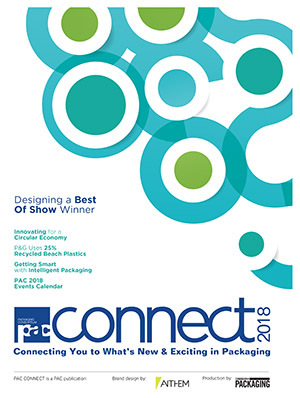 “The color combinations enable a use of subtle tones that emphasize the various product benefits that both Cascades Fluff and Tuff offer,” says Boucher, citing the inherent challenge of achieving impactful product differentiation in highly competitive product category dominated by legacy brand names and limited format flexibility. 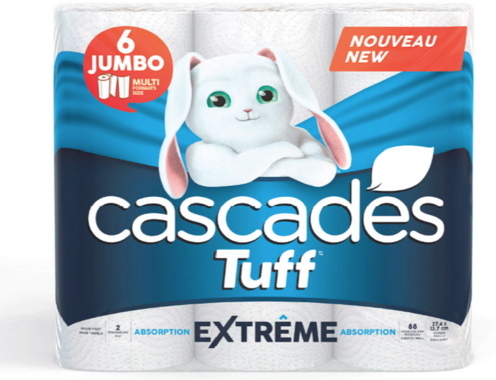 Whereas the previous Cascades branded household tissues had brand equity more closely to that of a private-label product than a national brand, Boucher says the adorable bunny graphics were readily embraced by the targeted consumer audience across Canada—primarily women in the 35- to 54-year-old age group with young families. “Since their launch, our rabbits have become so popular that we get thousands of requests week after week from consumers wanting to buy not only our products, but also a stuffed animal version of Fluff and Tuff,” she chuckles. 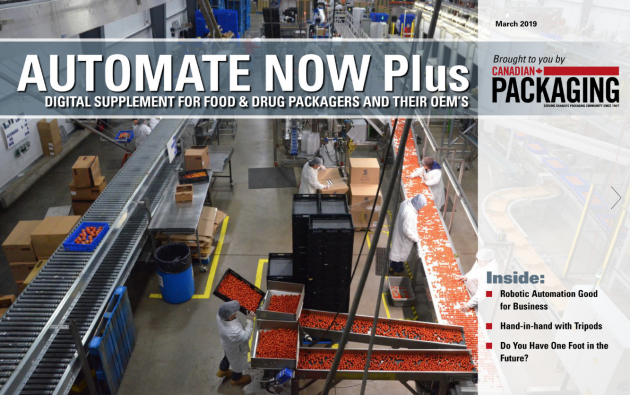 Says Trudel: “Our teams worked closely together for over two years reviewing each step in the manufacturing process in order to provide the superior quality that Cascades Fluff and Cascades Tuff products deliver. “No detail was ignored to improve the products for the families, beginning with the manufacturing formula for the paper all the way through to its embossing and packaging,” he says. “This [PPI] award definitely brings value to everything that we’ve accomplished,” Trudel declares, also noting the new brand picked up a 2017 Davey Award from the Academy of Interactive and Visual Arts (AIVA) for its in-store marketing campaign. 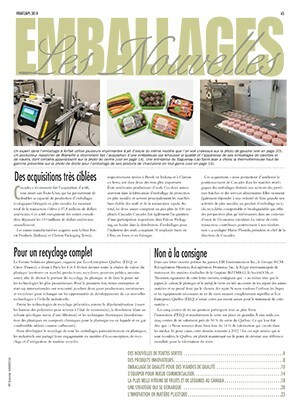 Also selected as a finalist in the annual innovation awards of the Innovation contest of L’Association des Détaillants en alimentation du Québec (ADAC) and the upcoming 2018 PAC Global Leadership Awards competition of PAC Packaging Consortium, the new Cascades Fluff & Tuff brand was also a big winner where it really counts the most—at the store-shelves. “We are currently on track for 55-percent sales growth compared to a year ago, which is actually four times our initial objective,” beams Boucher. 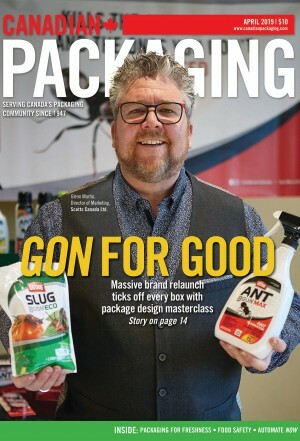 “We also gained important new distribution among our existing retail customers,” she confides, “while obtaining completely new listings because our trade customers believed in our new image and its shelf impact. “Our main goal was, of course, to sell more, but also to be positioned where we belong in consumers’ minds, among national brands. “And after only three months in the market, the Cascades Fluff brand had reached 86-percent awareness among our target consumers,” says Boucher, noting Bo Branding made full use of its creative license to completely revamp the packs. “The packaging design was completely remodeled,” she asserts. “In fact, we have nothing left from the previous one, except for the Cascades name that remains our company brand. “As it existed before, the Cascades household tissue brand was mainly focused on ‘green’ consumers looking for green products,” Boucher explains. “With this relaunch, we re-engineered the whole product line to answer different needs, while staying true to our sustainable roots, by rebranding everything under the new Cascades Fluff and Cascades Tuff umbrella. 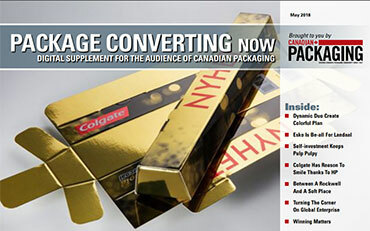 “In doing so, we went from an austere package appealing to a very small group of the population to a fun and engaging image able to reach the vast majority of Canadian consumers,” she says, citing extensive back-and-forth consumer research conducted by Cascades for over a year leading up to the March 2017 launch. “We undertook multiple consumer studies: both qualitative and quantitative in nature,” Boucher recounts. “We started with a completely different set of ideas and adjusted to consumer feedback along the way, making this an interactive process. Says Boucher: “One of the key things we learned from this project is that consumers want to see the actual product: the whiteness of the paper, the design of the embossed pattern and the overall quality of the product.